This is our sweet little sugar baby, Ramona! She is a squishy, happy, smiley, easy-going girl who loves to play with toys and be held by her Momma. 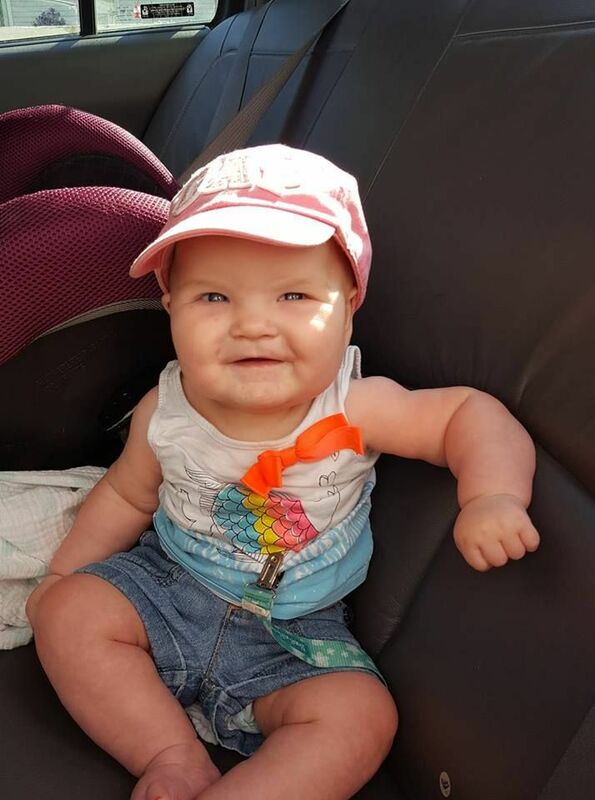 She is 6 months old and was recently diagnosed with Hypertrophic Cardiomyopathy, which means that the muscles of her heart are too thick and will continue to thicken. There is not much room, especially in the left side of her heart, for her to pull in blood. The "good news" is that the valve leading out of the heart is not obstructed at all yet, though that will likely happen at some point as the muscle continues to thicken. They said they can't fix her heart, and they can't slow down the muscle thickening. For now, she's taking a medication to slow her heart rate so it has more time to take in and push out blood with each beat, and we're waiting for genetic tests to come back (which will take over a month) before we make a plan. Once the doctors have gathered all of the information they can, we will probably be looking at a heart transplant. A transplant isn't a cure, but it could extend her life (there's a 50% chance of living 13 years after receiving one). Please say a prayer for our sweet Ramona every time you think of her! We serve a big God who can do big things. We are praying for you. Please let me know if there is anything outside of prayer you need.